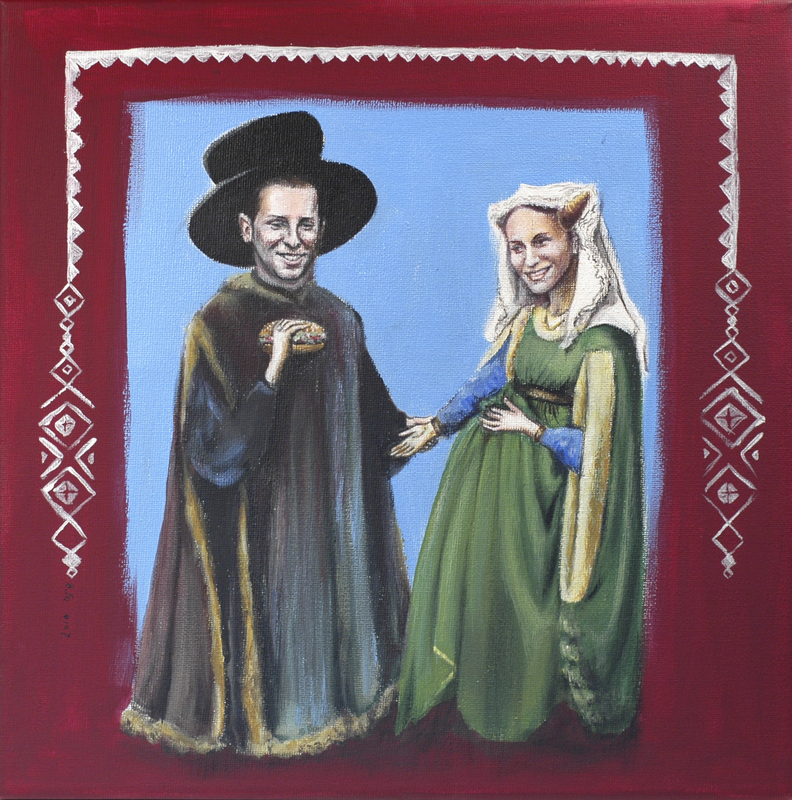 This wedding portrait was painted as a gift to a friend and his bride, acrylic on canvas, 30/30 cm. For custom orders in same method, for a wedding invitation for example, go to my ETSY shop: http://www.etsy.com/listing/59371844/custom-illustration-jpegpng-for-a I enjoyed the work of “copying” from a big master of art, as this is a tribute to the famous wedding portrait: The Arnolfini Portrait, by Jan van Eyck (http://en.wikipedia.org/wiki/Arnolfini_Portrait). The fun part was of course combining the original with the portrait of the couple, and the adding of the Ukrainian pattern around (I like patterns and ornament, and I hope to use it more and more in my work).